Three Isn't Always A Crowd! Developed and published by Frozenbyte Studios Trine: Enchanted Edition is the prequel to Trine 2: Director's Cut and has been remade from scratch using the same game engine as Trine 2! The game is a platformer that possesses both action and puzzle elements as well as a fairly in-depth and enjoyable story. Most of the story takes place between stages and is told by a narrator which is a nice touch! All three characters possess different abilities and you'll have to switch between them often to advance through the game's challenging stages! The game will challenge even veteran players so you'd best bring your A game when taking on this title! The controls are simple and easy to learn and the Off-TV Play is flawless! The graphics are very detailed and look every bit as good as those in Trine 2: Director's Cut and the music is superb as well! 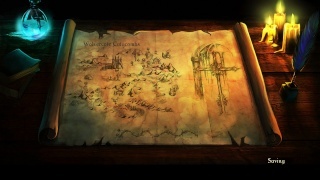 The voice over's are also nicely done so in-terms of audio-visual presentation this game is nearly perfect! 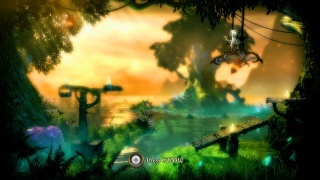 With great gameplay, excellent controls, Off-TV Play, and a nearly perfect audio-visual presentation Trine: Enchanted Edition is an amazing game that no Wii U owner should pass up, especially if you already have Trine 2: Director's Cut! Was this released in Germany? I can't find this on the eshop. The game is missing the level creator from the steam version of this software.